It was exciting times and answered prayers at the launch of the Minstrels Platform (Google play: http://bit.ly/MinstrelsApp and Apple store: http://bit.ly/MinstrelsApplink) at the Oriental Hotel in Lagos yesterday. Nathaniel Bassey led a team of 16 other Minstrels including Frank Edwards, Sammie Okposo, Aity Dennis Inyang, Glowreeyah Braimah, Enitan Adaba, Victoria Orenze, Olumide Iyun, Nosa Omoregie, Obiora Obiwon, Eben, Joe Praize, Pat Uwaje-King, David Nkennor, Ese Mairo, Doris ‘Dumah and Wilson Joel to the press launch. 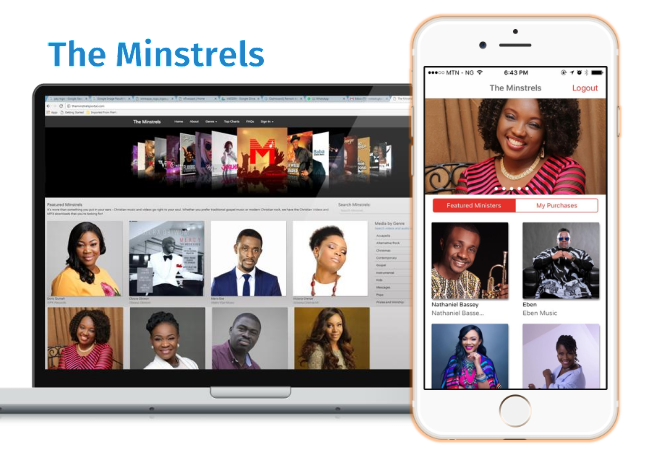 The Minstrels platform powered by eTranzact International PLC, in collaboration with LifeTree Resources Inc and leading Nigerian gospel ministers, wants to disrupt the status quo and lead to the proliferation of gospel music in Nigeria, Africa and the World. 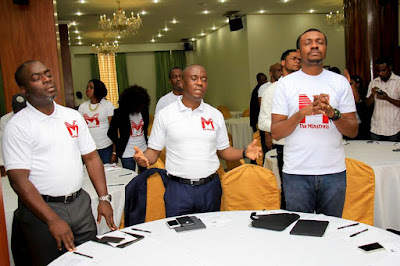 From Africa to Europe, Gospel music from Nigerian gospel minsters has filtered into churches, homes and schools via different unaccounted sources; illegal cds, USB devices, monetized digital uploads by pirates with almost zero revenue coming back to the artistes who have invested time and effort in creating the content. 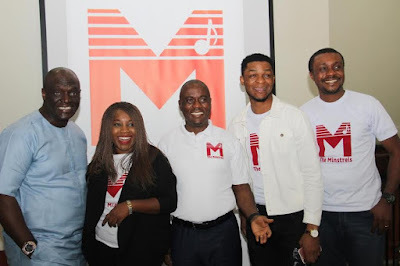 The Minstrels platform wants to eliminate the use of unconventional means of music distribution, tackling piracy and providing a multi-platform solution for consuming content, promoting gospel music and giving more control to how the gospel minstrels distribute their work. A couple of Minstrels at the Press Launch event at Oriental Hotel. 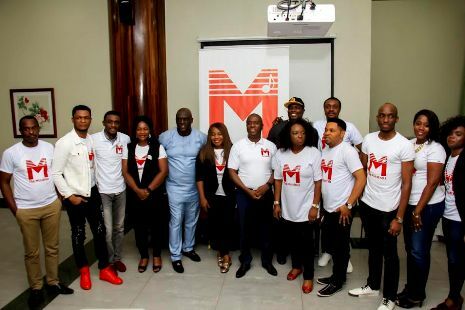 The platform which has a website and mobile apps for Android and IOS Users was launched to the press at the Oriental Hotel in Lagos. 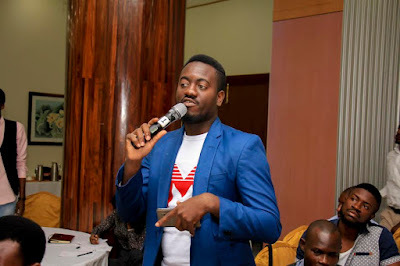 Backed by a world class technology team, payment for content is powered by eTranzact’s BankIT, which allows users buy directly from their Bank accounts. 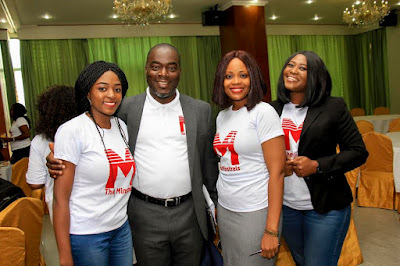 BankIT TM powers airtime purchase directly from bank accounts on USSD, *444# , *805# and *695# on Airtel , Glo and Etisalat respectively and for DSTV users with over 1,000,000 customers using it to date. 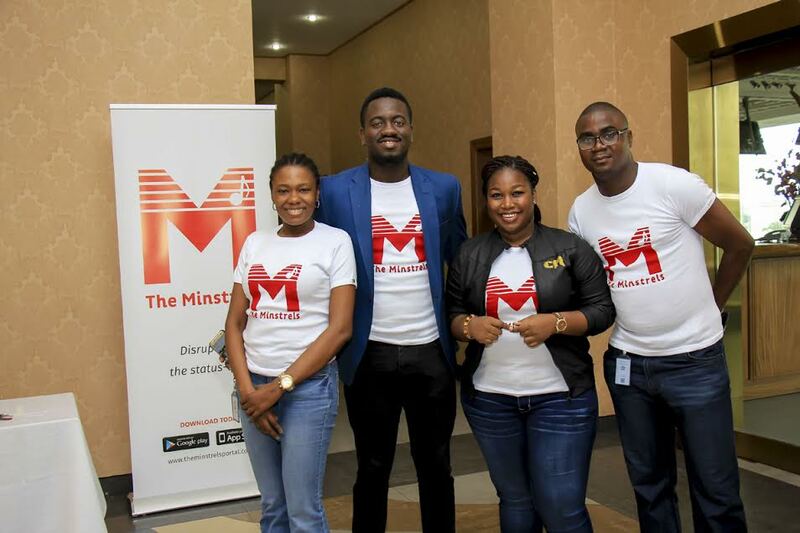 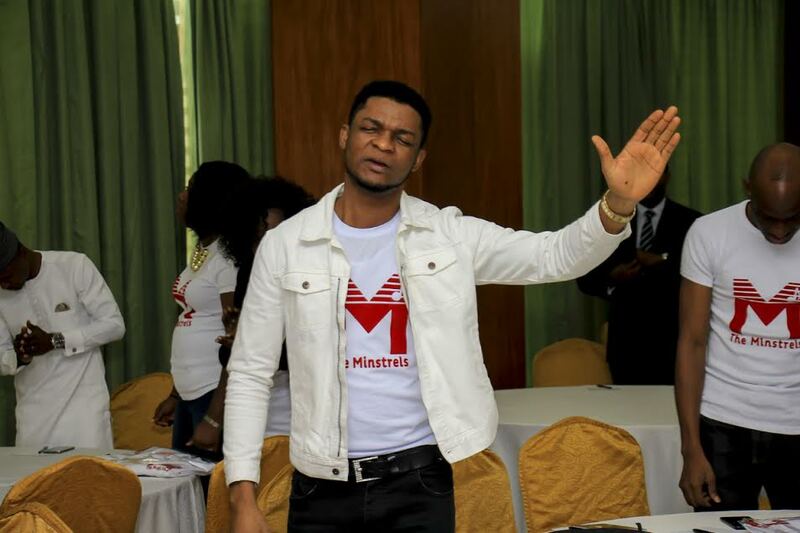 The event hashtag #TheMinstrels, which trended on Twitter for 5 hours with over 2500 tweets as a campaign to get more Nigerians to listen to Gospel music, was also launched with all the Gospel musicians using the Minstrels logo as their profile pictures. From L-R: Sammie Okposo, Glowreeyah Braimah, Valentine Obi, CEO, eTranzact, Joe Praize and Nathaniel Bassey at the Minstrels launch in Lagos. 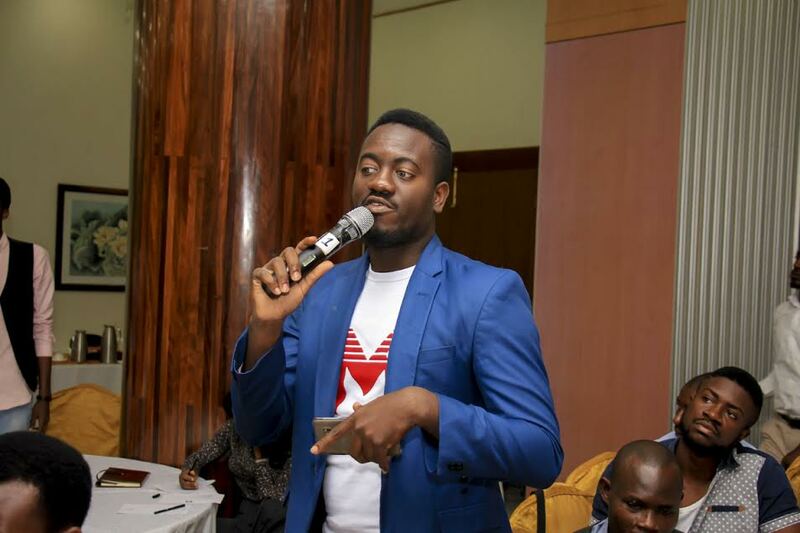 - Purchase, download and listen to spirit lifting music on the go. - Stream live music performances and get direct access to the Minstrels with special themed events and meet ups. 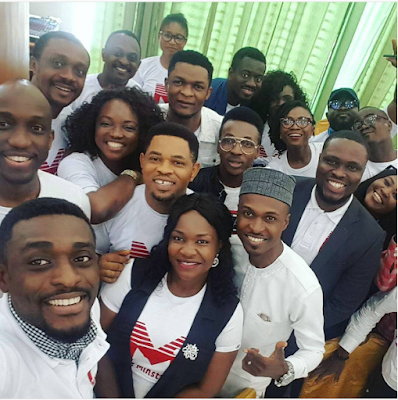 - Live stream events to a large audience. - Monetize their content in one central location with prices set by them and revenue instantly tracked and remitted. 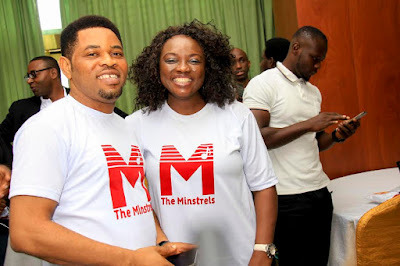 - Make personal connections with fans with Minstrel events and other opportunities.